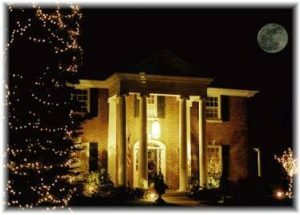 For Kentucky hospitality at its most gracious, the Doctor’s Inn is Berea’s premier Bed and Breakfast. 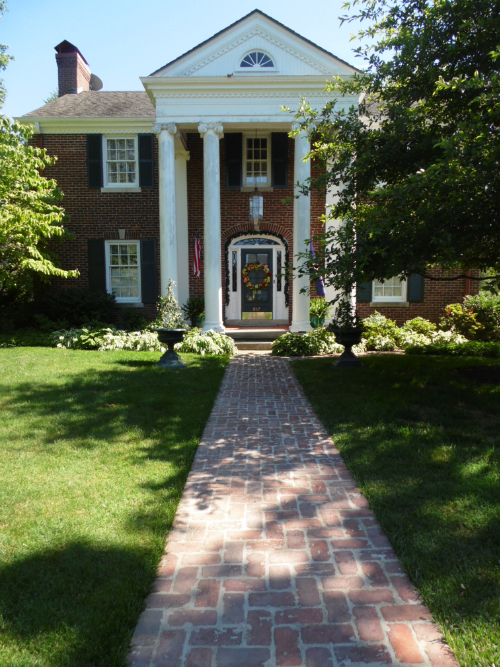 Nestled in the foothills of the Appalachians just off Interstate 75 in the heart of Kentucky’s designated capital of Folk Arts and Crafts, The Doctor’s Inn offers elegant lodging and a warm welcome. This Greek Revival home with a breathtaking view of the panoramic landscape invites you to an intimate retreat. Guest rooms appointed with genuine Berea College antique furniture, oriental rugs, and stained glass windows are enhanced by deep jewel tone colors, each featuring private baths. Dr. John Baker and his wife, Mattye Belle Kincaid built their home while son Bill attended dental school. After many years away from Berea, Dr. Bill and his wife, Biji, have returned to fulfill their dreams of providing comfortable, luxury lodging in his hometown. 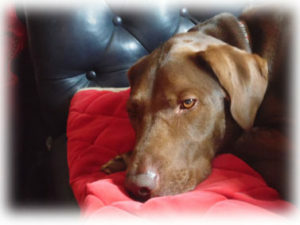 The “Hound of the Inn”, a chocolate labrador named Whitman, greets you at the door. For leisure time, satellite television, stereo music, a baby grand piano, plus a library of books and magazines invite your interests. A game of golf can be easily arranged by your host at the local club for a small greens fee. Crafts and gifts showcasing jewelry, pottery, weaving, handmade furniture, glass blowing and antiques are a brisk walk away in Berea’s Artisan Village. Tour the campus of renown Berea College and watch the students work at their many industries. Take a day trip to Kentucky’s Horse Farm region, Keeneland Race Track, Renfro Valley, Eastern Kentucky University, University of Kentucky, historic sites such as White Hall, home of Cassius Clay, Ashland, home of Henry Clay, Frankfort, Kentucky’s capital, historic Midway, Ft. Boonesborough, or go mountain biking or hiking trails with breathtaking vistas including the Daniel Boone National Forest. Coffee or tea and a morning paper begin your day at The Doctor’s Inn, followed by a healthy breakfast or a full country breakfast prepared by your hosts. Elegance, comfort and hospitality are yours at a modest price.